We all know that iodine is essential for the thyroid and breast health. However, excessive consumption of iodine through the diet can trigger and significantly aggravate autoimmune thyroid condition called Hashimoto’s disease and should be avoided for life. But what about those Hashimoto’s patients who have low iodine levels? In the following article Dr. Alexander Haskell, ND explains how low iodine levels can also trigger Hashimoto’s thyroiditis and talks about his treatment approach in reducing thyroid inflammation and restoring healthy iodine levels. Hashimotos is known as an autoimmune condition which is accompanied by thyroid inflammation. What most people don’t realize is that thyroid inflammation happened long before their development of Hashimotos. This fact is different from the conventional point of view which believes that a person’s thyroid antibodies are the cause of thyroid inflammation. Therefore if we can step back and understand the origin of thyroid inflammation we then have a much better idea about how to reverse Hasimotos. From my clinical experience iodide and iodine play a role in the cause or etiology of thyroid inflammation and the perpetuation of Hashimotos. To understand this I need to briefly review a little thyroid physiology. There are two primary thyroid hormones. One is Thyroxine or T4 and the other is Tri-iodothyronine or T3. The 4 and the 3 refer to the number of iodine atoms attached to each hormone. Yet iodine does not enter thyroid cells. It’s iodide which is absorbed and enter thyroid cells through what are called ‘Iodine Traps.’ I have no idea why they’ve been given this term when they actually absorb iodide. Yet iodide is absorbed, waiting to be converted into iodine which is then used to make thyroid hormones. And when the time comes to these hormones thyroid cells produce hydrogen peroxide to pull off one atom from the iodide to make iodine. When thyroid cells are stimulated to make their hormones, their production of hydrogen peroxide increases, converting iodide into iodine, and the assembly line of making thyroid hormones advances. What stimulates thyroid cells to make hydrogen peroxide is the hormone TSH or Thyroid Stimulating Hormone. This fact is very important because of its connection with thyroid inflammation. When levels of thyroid hormones decline in the blood the gland which produces TSH increases its production in an attempt to stimulate thyroid cells to make more hormones. So when thyroid hormones decline, TSH goes up. Then what will happen when a person has a deficiency of iodide? When there’s a lack of iodide there will be a lack of iodine inside thyroid cells, so thyroid hormone production goes down. And when thyroid hormone production goes down, TSH goes up. This TSH stimulates thyroid cells to produce more and more hydrogen peroxide, and if levels of hydrogen peroxide remain high, which they will if thyroid hormone levels remain low, hydrogen peroxide will eventually lead to irritation and eventually inflammation. Both TSH and the thyroid hormones T4 can be checked through lab testing. As in our previous example of an iodide deficiency, when TSH is high and T4 is below the lab’s reference range then the person is diagnosed with Hypothyroidism. If the TSH is high and T4 is low but still within the lab’s reference range then the person will likely be diagnosed with Subclinical Hypothyroidism. Research has shown that about half the people with Subclinical Hypothyroidism will eventually develop Hashimotos. Why is this? Elevated TSH leads to increased hydrogen production within thyroid cells leading to inflammation. Inflammation speeds up the metabolism of cells leading to their aging prematurely. This means that inflamed thyroid cells have a shortened life expectancy and when they die they release their contents including Thyroperoxidase and Thyroglobulin. This enzyme and protein trigger an immune response with the development of antibodies. Therefore an iodide deficiency will lead to thyroid inflammation. The means of helping thyroid inflammation is through the use of iodide. This will improve thyroid hormone production which will lower TSH. But is this same approach true for Hashimotos? Here’s the double edge of the iodide sword. As far as the body’s intelligence is concerned iodide and iodine are absolutely essential for health and are considered precious commodities. And over hundreds, maybe thousands, of generations we developed an ability to store these trace elements in case of a shortage, similar to how our livers store vitamin B12 for years. When we ingest iodide and iodine they are readily absorbed into those same Iodine Traps which exist in the thyroid as well as other tissues throughout the body. These traps are also known as Sodium Iodine Symports. Storage in these symports allows us to use iodine and iodine later on as needed. These symports don’t have the intelligence to automatically know when iodine and iodide are available. 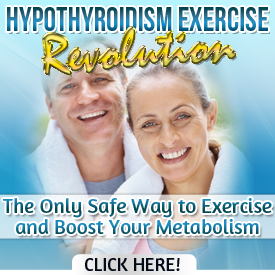 They must be stimulated by the same hormone that stimulates those traps in thyroid cells, TSH. So when iodine and iodide are ingested this triggers an increase in the production of TSH. This TSH will stimulate the symports in the thyroid and throughout the body to absorb iodide and iodine respectively. Yet remember, with Hashimotos we do not want elevated TSH since it also stimulates thyroid cells to produce hydrogen peroxide. Here are the steps in the first phase of reducing thyroid inflammation. Provide selenium in the methionine form which has proven to reduce thyroid inflammation. Improve glutathione levels to also quench inflammation. Selenium helps to improve glutathione levels. Glutathione can also be applied topically over the thyroid using pharmaceutical grade DMSO. If you are interested to learn more about Hashimotos we have produced a series of videos on its origin, effective ways to reduce thyroid inflammation and thyroid antibodies, and why a broad, holistic approach is essential.